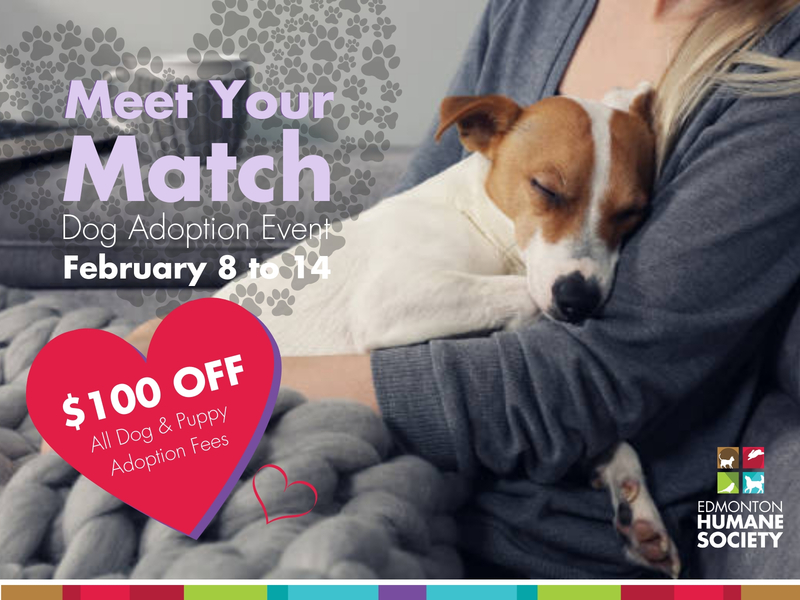 Meet your four-legged match just in time to celebrate Valentine’s Day! From February 8th to 14th, the adoption fees for all dogs and puppies will be $100 off the regular price. EHS currently has over 40 single pups who are ready or almost ready to meet their match and head to their forever homes. These pooches would LOVE to spend their Valentine’s showing you their unconditional love! Just like Valentine’s Day, dog-only adoption events happen just once a year! This is a wonderful opportunity to add some puppy-love to your household. These dogs will have you at first ruff, but before you commit make sure you’re prepared! Read through our adoption process here.